The universe is collapsing in on itself for an unspecified reason! You are the last human alive and your spaceship is being compressed towards a singularity. 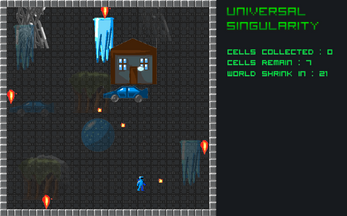 Your only chance of survival is to collect enough fusion cells to create a wormhole to escape to another universe. You need 7 fusion cells. 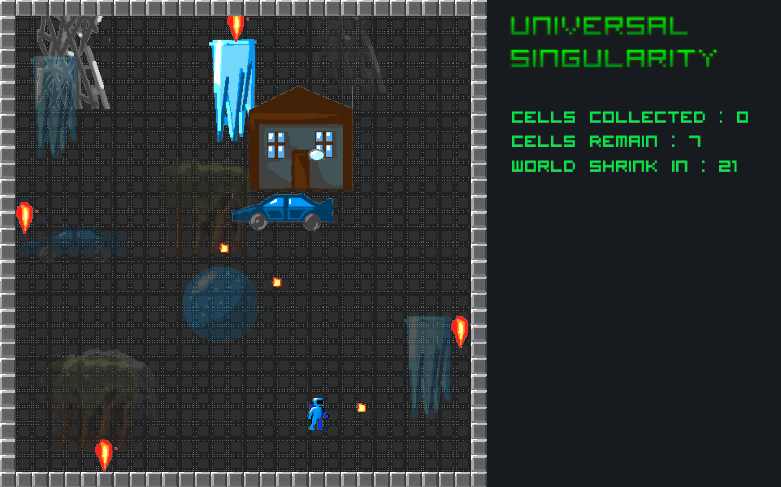 You need to collect these cells before the universe shrinks to a tiny point! As the universe contracts, weird quantum effects are being observed on a macro scale such as the superposition of matter. Avoid the plasma balls and avoid being caught in the middle of some materialising matter!